Some projects can be prone to moisture buildup inside shrink-wrap during storage or transportation. 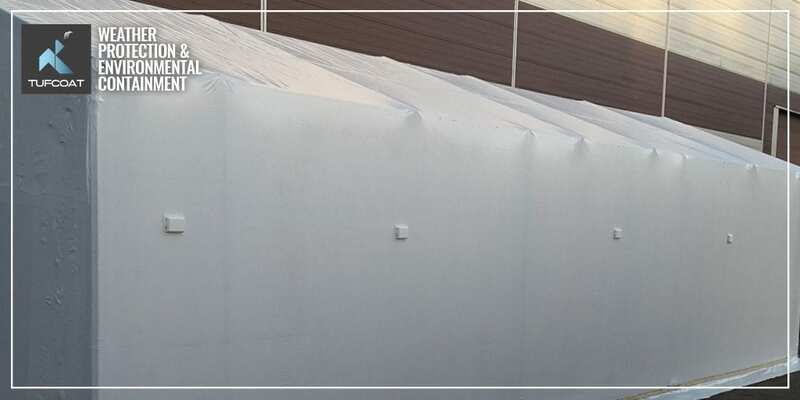 Our customers and installation teams utilise Tufcoat shrink-wrap to protect a variety of large objects ranging from modular units to helicopters and boats which can require ventilation. During the planning of recent project where units were planned to be stored outside for a number of weeks, our recommendation was to add shrink-wrap vents and zipped access doors to the units to allow passive ventilation during times when the doors were sealed. 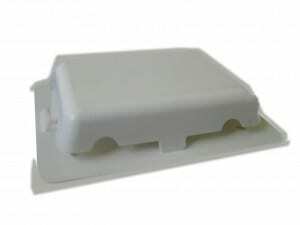 Adding shrink-wrap vents is simple. The plastic vent separates into the top cover and self-adhesive base plate, which once connected and installed disperse any rainwater away from the opening. Once you have calculated the number of vents required, remove the self-adhesive backing, and stick to the shrink-wrap carefully using a knife to remove the centre area and ensure a good contact is made between the adhesive and the shrink-wrap, replacing the cover. To calculate the number of vents we recommend using 1 vent every 2m, however, this can be increased depending on the object and its construction. Doors are easy to install. They come in sizes ranging from small access hatches to full-sized doors which can be walked through. The access doors can be easily installed using Tufcoat Patch Tape to position the door in place with the curved section nearest the floor. Once satisfied with the position the edges can be fully secured to the shrink-wrap again using Patch Tape, opened and the opening cut out. To avoid debris collecting in the void between the door and shrink-wrap it’s a good idea to tape the inside of the door to the wrap also!